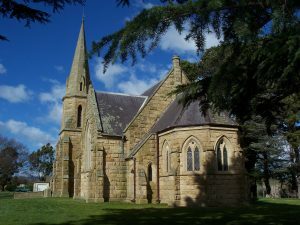 There are three churches in Ross: St John’s Anglican Church (Church of England), The Uniting Church (Methodist Church), and the Roman Catholic Church. 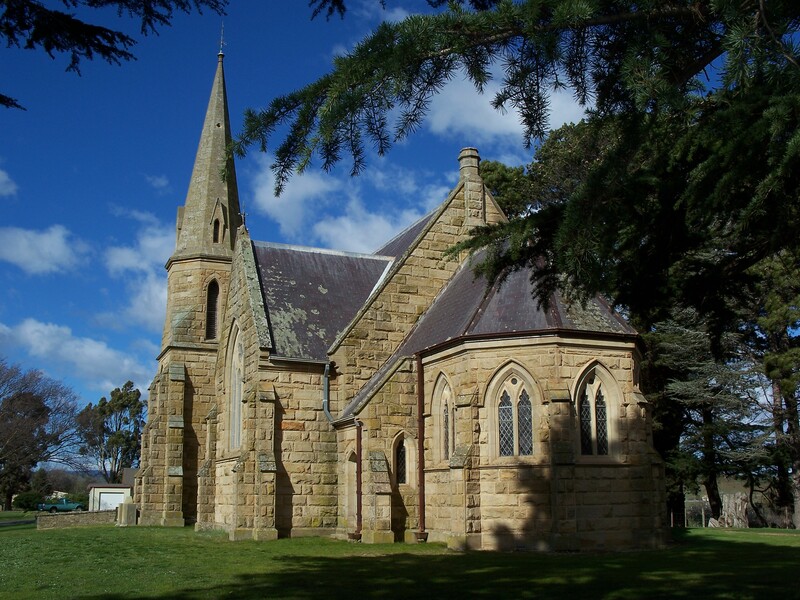 It was completed in 1868 and consecrated by Charles Brumby (Bishop of Tasmania) on the 14th of May in 1869. When erected, they used stone from the original church, which was started in 1835 and had to be demolished only a few years later due to the failure of the foundations. It is the earliest of all three Churches in Ross, with Mr Kermode bearing most of the costs. 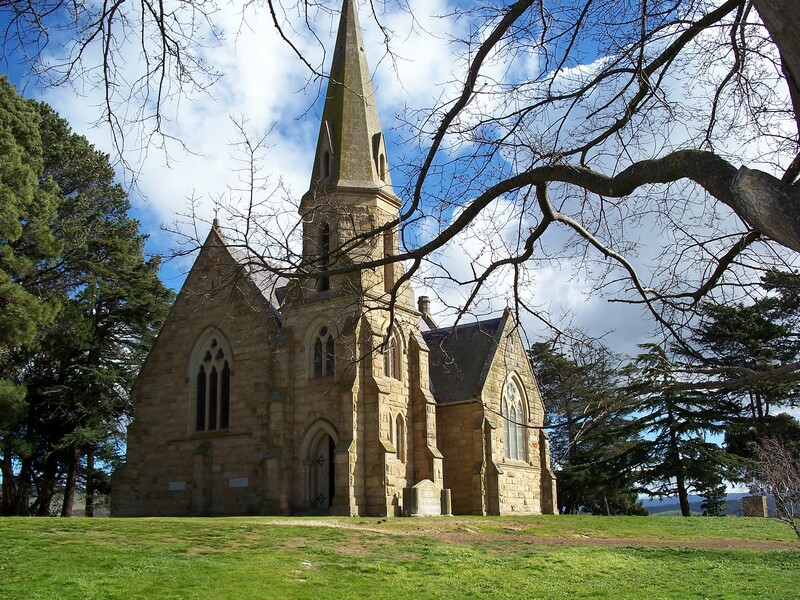 It is considered one of the finest parish Churches in Tasmania of fine proportions. The original Burial Ground was the site of the first St John’s Church. The foundation stone was laid by Governor Arthur on the 20th of October, 1835. William Grant Broughton consecrated it on the 11th May, 1838. 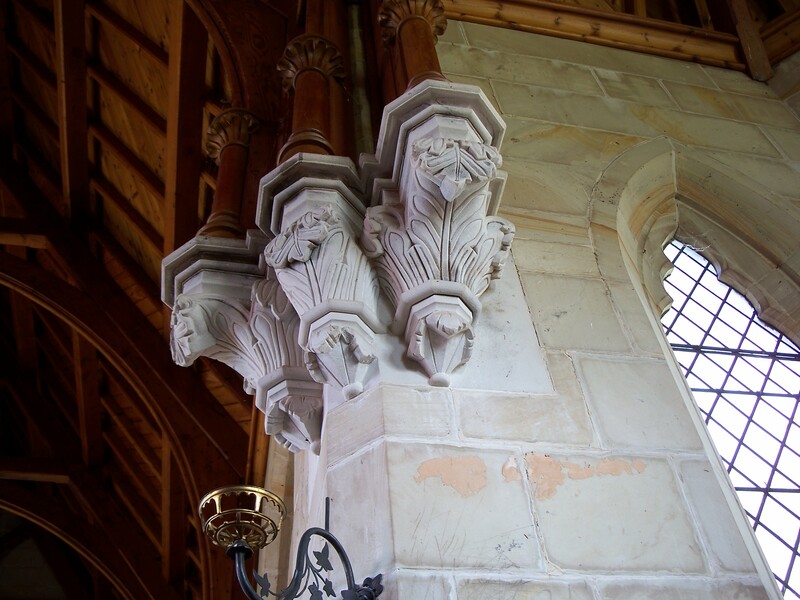 Cox & Sons, made the Caen Stone pulpit with Marble pillars and was presented by William Kermode (Mona Vale). 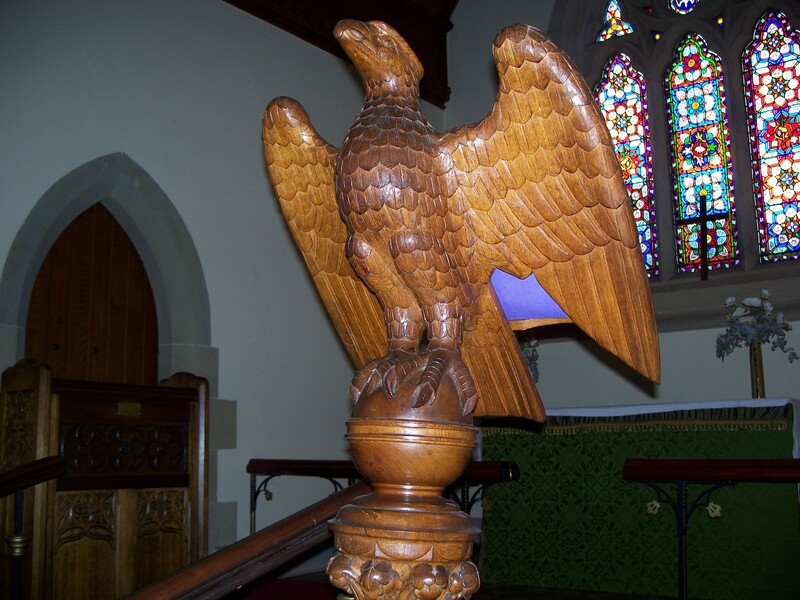 The Oak Lectern with carvings of an eagle, which is a symbol of St John, was a gift from Mr & Mrs B Leake, a pioneering Ross family. The Clock in the tower is at least a century old and was manufactured in Birmingham, England and was presented by Mr a Smith, a former owner of Beaufront. The Sextons Cottage, with its charming carved gable window on the western end, was the St John’s Rectory for a period. 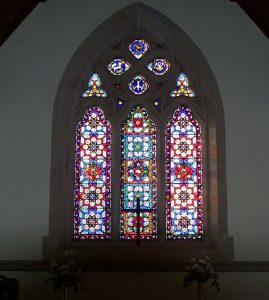 All the windows inside this Church have a geometrical pattern except for four small windows in the Chapel. Furguson & Urie of Melbourne installed the windows. The organ inside the Church is over 100 years old. The spire is approximately 50 feet high. The foundation stones were laid by Mrs Parramore of Beaufront, Ross, and Mrs Elizabeth Horton (wife of Capt. Horton of Somercotes) on 13th December, 1882. 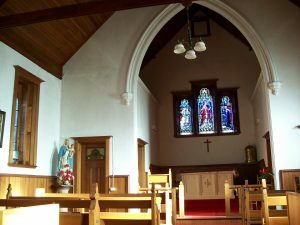 The Church is in traditional Gothic Style, with an interior ceiling of Oregon pine and pews made from Tasmanian Blackwood. 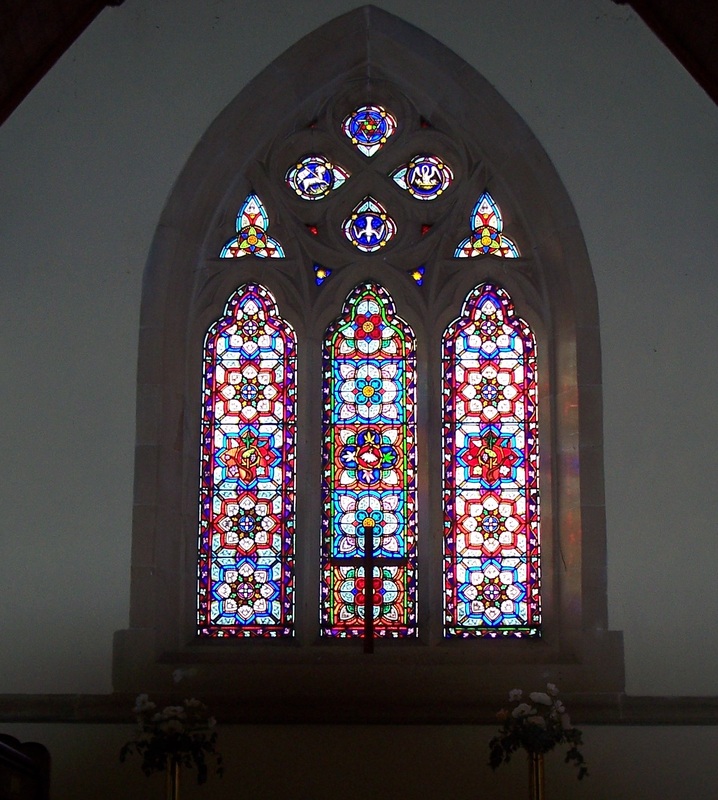 The current Uniting Church did replace the first Methodist Church which fell into disrepair. The Methodist Church was completed in 1839. The chapel was built of freestone and measured 40 x 27 feet and had a shingle roof and fluted pillars either side of the front entrance. The interior fittings were of Cedar. 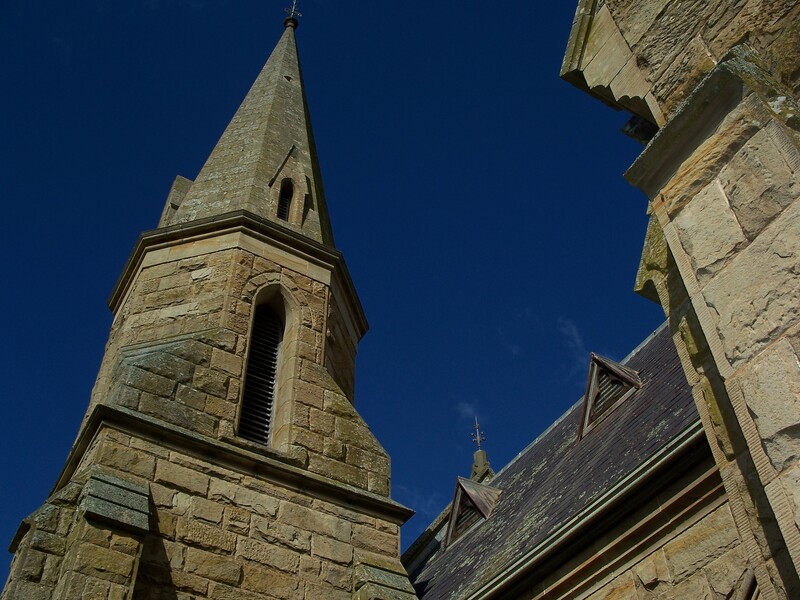 In 1850, a Gallery with a quaint staircase was erected across the back of the chapel. when Horton College was established in 1855, the boys walked the 4km to the Chapel every Sunday and the gallery was reserved just for them. Capt. Horton gave a barrel organ to the Chapel. It was wound up like a gramophone and could play 24 tunes. 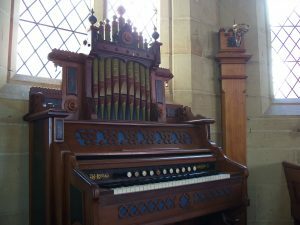 One Sunday, something went wrong and the organ would not stop playing. It was carted out and left to play itself out – in the paddock. When the new Church was built in 1885, the old Chapel was given to the Anglican Church in 1932. They used the stone to build The Kermode Wing onto the Anglican Sunday School. Stone and pillars from the first Chapel are sited on the Northern side of the present Church, they were unveiled in 1936 for the Church Jubilee. 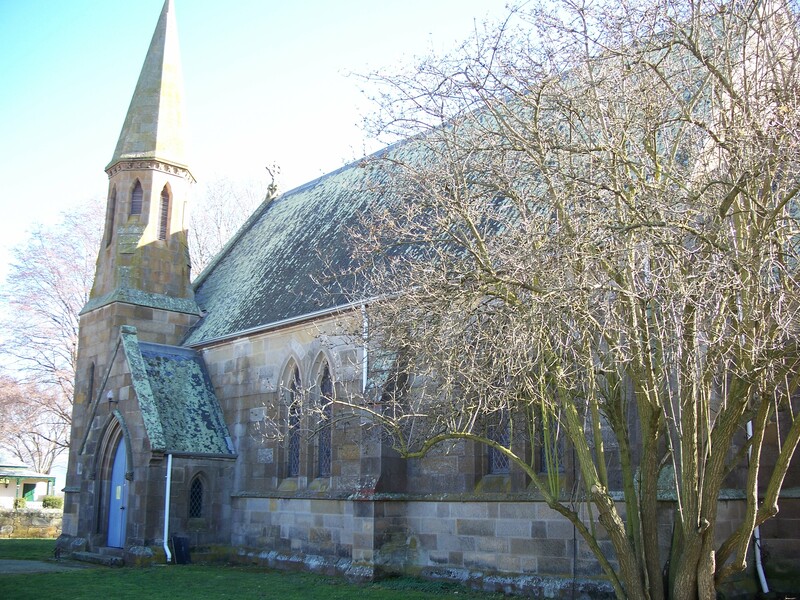 Shortly after the Church opened, it was due to the generosity of local pioneering families, such as Horton, Riggall & Parramore the debt in connection to the building was paid in full. The total cost for its construction had been 4350 pounds. The first priests to visit Ross generally stayed at The Barracks and conducted services mainly for the troops stationed there. Earlier services were conducted from the Female Factory Site after it closed down as a prison. The Catholics were mainly convicts and emancipists and were too poor to build their own place of worship. 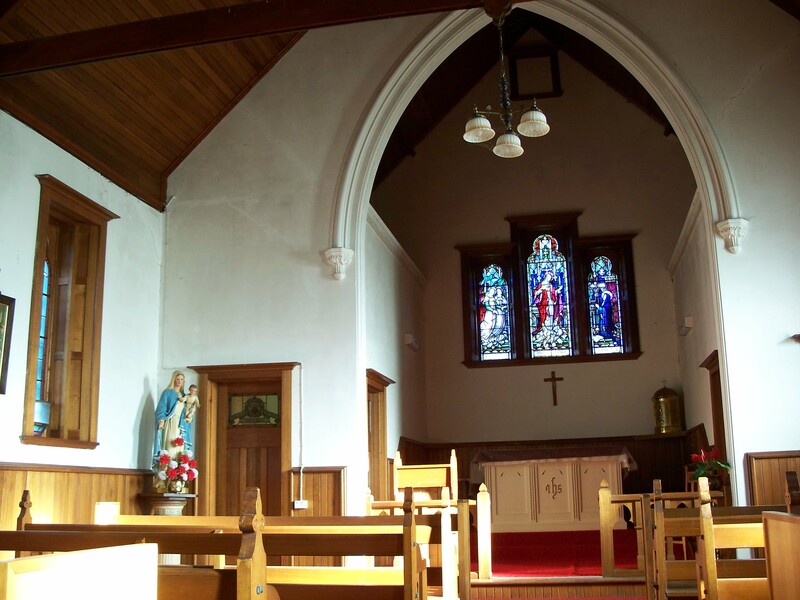 In 1920, Father John Graham arranged for the present Church to be converted. It was previously a store, bakery and residence owned by the Bacon Family. Ross was well known then for its stonemasonry skills, so the walls were raised and the roof and tower were added. it was named after Mary – Church of Our Lady of the Sacred Heart. The spire was rebuilt with a cross atop in the early 1980s. The whole village helped raise the money for the project. Tribute was paid to Sir Donald von Bibra for his generosity, in a form of a memorial plaque on the exterior of the Church which was placed there in 1986.